This skills program is part two of an interview with Mary Howley Ryan, the nutritional advisor for NOLS, the National Outdoor Leadership School. 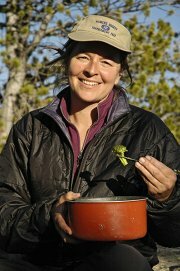 She's also the author of the NOLS Nutrition Field Guide. 24hourfitness.com offers a calculator to help you determine the number of calories you might need for a trip. caloriesperhour.com was mentioned in the interview, but it doesn't give the overall calorie needs for an extended period. The NOLS Cookery is used by NOLS outing leaders to learn about cooking in the wilderness. 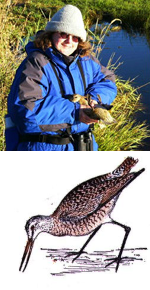 Gorp, Glop, and Glue Stew: Favorite Foods for 155 Outdoor Experts by Yvonne Prater is another wilderness cookbook that she likes. While it's out of print, Yvonne Prater's newer book, BEYOND GORP: Favorite Foods from Outdoor Experts, is available. See below for a bonus clip from the interview. Mary answers some questions about people who don't feel like they can eat in the wilderness, and about the special problems of diabetics and people who suffer from wheat or gluten intolerance. This skills program is part one of an interview with Mary Howley Ryan, the nutritional advisor for NOLS, the National Outdoor Leadership School. 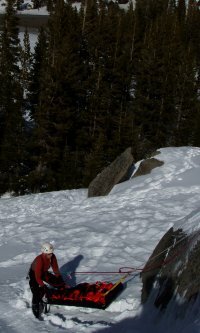 She's also the author of the NOLS Nutrition Field Guide. Our body's the engine that powers our wilderness trips. How do we make sure the food we have is enough to support the strength and stamina we need for our travels? 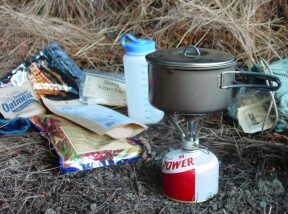 Mary talks about why nutrition is important for wilderness trip meals, and about the most important considerations. She talks about the differences in requirements between shorter and longer trips. Why do people get food cravings on the trail? In next week's edition, Mary will talk more about planning food for your trips. 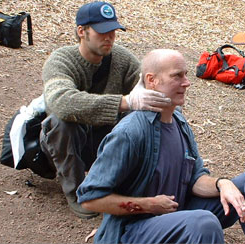 This skills program is a reprise of show number 11, first posted on September 22, 2005. 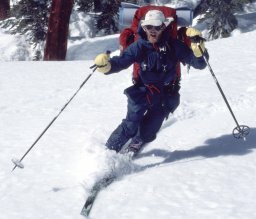 It's about the job of being a backcountry ranger in national forest wilderness. It's a frequently romanticized job with lots of responsibility. Three rangers talk candidly about their experiences. National Parks, National Forests, and many state and local parks offer opportunities for you to volunteer for duty as a backcountry ranger. Amy McElvaney volunteered through a pilot program in cooperation with the High Sierra Volunteer Trail Crew. The site volunteer.gov is another good place to search for opportunities. But probably the best place to find out more is to contact your favorite park or forest, and ask about their respective cooperative volunteer association. 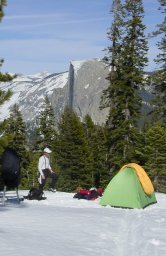 This skills program is a look at the arms race between campers and bears in Yosemite and the Sierra Nevada. How should you protect your food from bears? The interviews with Tori Seher and Laurel Boyers were recorded for a future show we're still working on. But we thought it would be a good time of the year to remind you to be bear-aware right now. We're taking a travel break, and the next show will be in at least two weeks from now. This skills program is part one of a piece on kids in nature and wilderness. Specifically, why they need it and how to get them into it. We hear comments by Richard Louv, author of the book, Last Child in the Woods, Saving our children from nature deficit disorder. Richard describes how today's children are being raised mostly indoors, or without contact with the wild and natural world. 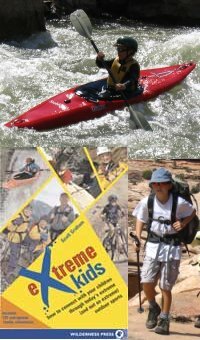 Steve begins an interview with Scott Graham, author of the book, Extreme Kids, How to Connect with Your Children Through Today's Extreme (and Not So Extreme) Outdoor Sports. Scott talks about how parents can get their kids into the wilderness. Next week, in part 2, Steve continues his interview with Scott, and we hear more from Richard Louv. If you want to explore the backcountry on skis, Marcus recommends getting lessons and practice at groomed-track cross-country ski resorts first. 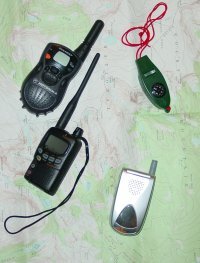 The Cross Country Ski Areas Association has a directory of them. 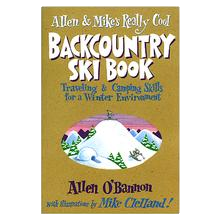 One good beginner's guide to winter backcountry skills is Allen & Mike's Really Cool Backcountry Ski Book. 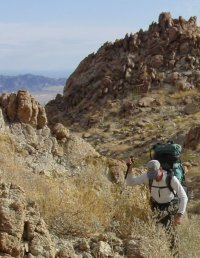 This skills program explores lightweight backpacking. Ryan Jordan of Backpacking Light: The Magazine of Lightweight Hiking and Backcountry Travel talks about the lightweight backpacking movement. Steve interviews Don Ladigin, the author of Lighten Up! (A complete handbook for lightweight and ultralight backpacking.). 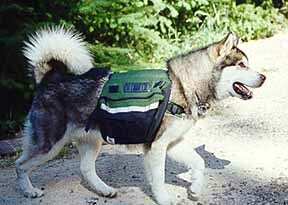 If you're new to backpacking, read this before Lighten Up!. The original guide to lightweight backpacking, by one of it's earliest proponents. A high-traffic mailing list with a very large subscriber list.